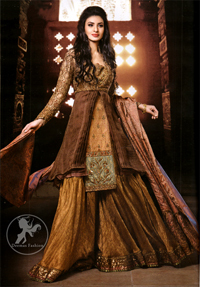 Tags: Brown, Front Open, Party, Sharara, Short Length. 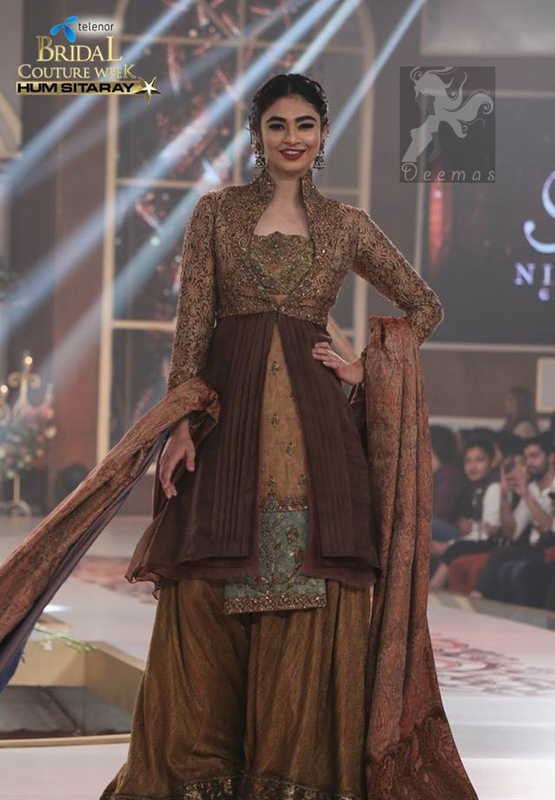 Dark brown pure chiffon jacket with embroidered bodice and sleeves. Inner shirt features stunning embellishment on neckline and border on hemline. Self jamawar sharara. Embroidered border implemented at the bottom of sharara. Pure jamawar dupatta.